Leading Chinese multinational electronics manufacturer TCL Corporation rolled out a wide range of new and innovative smart electronics and home appliances in a 1,800-square meter exhibition space at this year's IFA, which opened in Berlin on September 4, 2015. IFA is one of the world's largest trade shows for consumer electronics and attracts a large number of industry leaders. TCL's space is the largest ever taken by a Chinese company at the annual event. 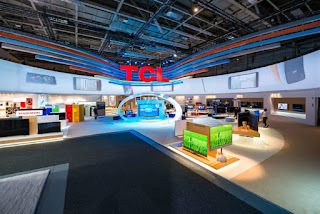 At this year's IFA, TCL Corporation, together with its subsidiaries, showcased a line of quality TV sets including the QLED2.0, equipped with the highest quantum dot display standard, the curved TV H8800 and the quantum dot TV H9700, as well as the new large-screen tablet Xess, the water, dust and shock-proof smartphone GO PLAY and the latest smart watch GO WATCH. From the household appliance side of TCL's business, new models include the Big-eye Crystal washing machine featuring a German minimalist design and the BCD-750WEBS60 four-door refrigerator. The wide range of products featuring the latest designs across several technologies made the company the biggest eye-catcher among Chinese exhibitors. By upgrading quantum dot, Dolby Vision HDR and curved surface technologies innovatively, the QLED2.0 launched by TCL Multimedia boasts a 110% NTSC color gamut, a wider brightness range, more accurate backlight adjustment and richer colors. Through its 4000R golden curvature, the QLED2.0 offers a panoramic immersive experience and delivers a perfect combination of an ultra-high color gamut and optimal curvature, demonstrating TCL's innovative technology. TCL Communication also introduced several innovative products. Of particular note, the 17.3-inch full HD IPS large-screen Xess drew a great deal of attention from consumers. Encased in a modern silver and white 9.15mm ultra-thin body, the Xess comes equipped with a stereoscopic rotating stand, which allows users to adjust the unit to any viewing angle, and dual JBL speakers which provide users with immersive audio-visual effects. The most unique feature of the Xess is the multi-model UI which allows the user to configure and operate the unit based on the routine and lifestyle of the individual household. 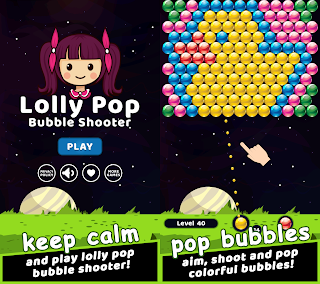 For example, users can watch instructional videos while cooking in "kitchen mode" and share captured moments such as successfully completing an unusually difficult work-out routine immediately after completing it in "home mode". The unit also supports 720P HD video calls which allow for zero-distance communication between family members. The Xess provides edutainment content specifically for children, enhancing parent-child communication and interaction as well as the quality of family life through features such as child monitoring and access control. The GO PLAY and GO WATCH designed by TCL Communication for young outdoor sports enthusiasts also received a lot of attention at the event, demonstrating TCL's abilities at product innovation. GO PLAY has an IP67 certified dust and water-proof design and has passed the 1.5-meter drop test. With support for the LTE Cat.4 network, GO PLAY comes with 20 days of standby time and 8.3 hours of talk time. As the best partner for GO PLAY, GO WATCH also boasts an IP67 certified water, dust and shock-proof design. In addition to a built-in accelerometer, gyroscope, altimeter, heart rate sensor and electronic compass, GO WATCH also is equipped with an alerting feature, ensuring timely receipt of notifications concerning incoming text messages, email and phone calls, even when GO PLAY is not at hand. The quantum dot curved TV H8800, the quantum dot TV H9700, the 3rd generation ultra-thin TV C1, the high color gamut TV E6800, the Big-eye Crystal washing machine, the BCD-750WEBS60 four-door refrigerator and the KFRd air conditioner equipped with patented dual-core titanium technology, as well as many new products including the P606L on display at TCL's booth all served to leave a deep impression on visitors. At this year's IFA, the H8800 won the influential Annual Product Innovation Award at the China Home Appliance Innovation awards ceremony. This is one of the highest levels of recognition that a product can receive from the global technology community. With a touch screen and variable speed cycles, the Big-eye Crystal washing machine, which won the 2015 iF Design Award, grabbed a massive amount of attention from passers-by at the event. The washing machine delivers a unique level of aesthetics to the home due to its German minimalist design, identically rounded corners, the double curved surface door seal and an ultra-thin U-shape body using the German TOX riveting process. The products were developed as a result of TCL's commitment to technological innovation since the day the company was founded. At the IFA, TCL Corporation chairman and CEO Li Dongsheng said in an interview that the company applied for2,971 patents in 2014, including more than 2,100 invention patents, placing it among the top five in China in terms of number of patent applications. TCL's subsidiary China Star Optoelectronics Technology ranked fourth among Chinese companies in terms of international PCT applications. Innovation has undoubtedly become the most important engine for TCL's development. 0 comments on "TCL Showcases Full Range of Smart Products at IFA 2015"